Basil Gabbidon was a founding father of British reggae legends, Steel Pulse. After four successful albums and three Grammy nominations with the band, Basil left to form the Reggae Rock band ‘Bassdance’, producing and recording two albums ‘Loud’ and ‘Louder’. Now Basil Gabbdion is back with a supergroup, the eponymously named GABBIDON – a reggae band that throws rock, ska and jazz into the mix. 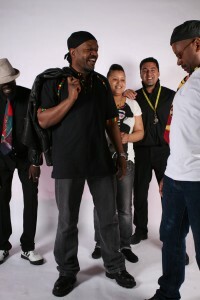 Gabbidon is slick finely crafted reggae music, which gets into your head and instinctively moves your feet.